May 12, 2015, 9 a.m. The money will help PRX’s collective of public media-minded shows develop sustainable business models and expand with new shows and producers. By Justin Ellis @JustinNXT May 12, 2015, 9 a.m.
A little over a year ago, a group of public radio-minded podcast producers banded together with an idea: to combine their powers to grow a shared audience and develop a better business model for fledgling audio entrepreneurs. Radiotopia, as the name suggests, is as aspirational as it is practical, a place for independent producers to learn from one another and try to make lasting shows that connect with listeners. Since launch, they’ve grown to 11 shows from seven, with monthly downloads growing to 7.5 million from 900,000. And they’re making money: They expect a 45 percent increase in sponsorships over last year, according to PRX. Now Radiotopia is getting a big push towards the future with a $1 million grant from the Knight Foundation to help expand into new shows and new listeners. (Disclosure: Knight is also a funder of Nieman Lab.) Specifically, the Knight grant will be used to support the operations of existing shows by improving production quality and funding new stories and ongoing projects. 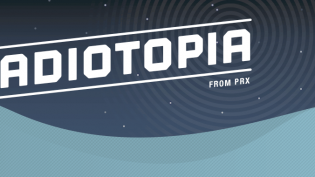 PRX will also hire an executive producer for Radiotopia, who will oversee the expansion and collaborate with individual producers to share lessons and develop stories. And the grant will seed a pilot fund that will be used to discover new shows and audio talent who could become part of the collective. Radiotopia thrives off collaboration, Mars said, as producers share their skills with one another. This grant makes it possible for them to do things like help each other improve their audio quality and think creatively about long-term planning. “We come together in these ways and each of us brings a different set of expertise,” he said. Knight backed the launch of Radiotopia in February 2014 with a $200,000 grant — one still remembered in the closing credits of Radiotopia episodes’ closing credits, alongside the usual paeans to Mailchimp and Squarespace. Chris Barr, Knight director for media innovation, said that Radiotopia has demonstrated its ability to rethink how audio storytelling is conceived, delivered, and supported. “Their experiences can help establish a means for independent producers to become more sustainable and draw in new funding,” he said in a statement. Knight is investing in Radiotopia as podcasts and audio storytelling are capturing more attention from the public. Some attribute that to shows like Serial, but as Pew’s State of the News Media found, listenership has been steadily growing for a number of years. Whatever the causes, many media companies — some with a history in radio and more without — are vying for attention between our ears. But podcasting remains a fairly new form of media, and advertising remains at an early stage as well. 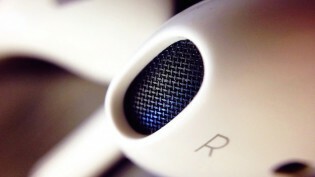 Shaprio attributes the rise of podcasts to our devices, not just our smartphones but the proliferation in apps like Stitcher or Apple’s native Podcasts app. “The Serial effect served to shine a spotlight on all those trends and showed there’s an audience far beyond the know audience of early adopters or even listeners of public radio,” he said. The original idea behind Radiotopia was to help shows like 99% Invisible, Theory of Everything, and Radio Diaries by creating a kind of federation of independent audio producers. Specifically, the shows could cross-promote and mingle listenerships and negotiate for sponsorships as a group. Sponsorships make up the bulk of revenue for the shows, Shapiro said, and working as a collective allows PRX to sell across the network of programs and share the revenue. As Radiotopia has grown, so has the need for more help to track sponsorships across shows and coordinate with individual producers on the types (preroll, midroll) and language of the spots. But Radiotopia is also interested in developing other lines of support for podcasts, not limited to events, crowdfunding, and individual donations, Shapiro said. The bridge between the initial grant from Knight last year and today’s funding was a Kickstarter campaign that aimed to raise over $200,000 to support the network. With help from 21,800 backers they raised $620,412, which was a record for an audio project on the crowdfunding site. Mars said what’s important for Radiotopia’s shows is the community, not just the money. Mars has previously used Kickstarter to fund 99% Invisible and said the campaigns demonstrated the connection listeners felt with show and their investment in its success. The key is finding ways to make that connection endure, to tap into that inclination from “support from viewers like you” without basing it around specific projects. “The key component that can’t be ignored is that we have an audience that is primed to give through decades of public radio asks,” he said. They plan to grow that audience by bringing in a more diverse collection of shows and personalities, Mars said. The pilot fund will enable Radiotopia to expand its network in big and small ways, through open calls for submissions as well as specifically targeted requests. Mars said they need to do better in terms of diversity, reaching out to people of color and women for their ideas. But they also need to expand outside what can be a limited public media mindset of the themes or topics that could be a show. “My dream of this is we would say, ‘We really want a video game show hosted by a woman of color,’ and we put it out into the world and see who comes back,” he said. POSTED May 12, 2015, 9 a.m.
Ellis, Justin. "Knight Foundation invests $1 million in creator-driven podcast collective Radiotopia." Nieman Journalism Lab. 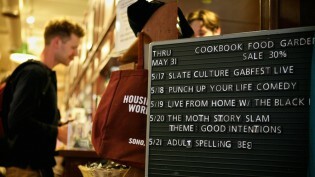 Nieman Foundation for Journalism at Harvard, 12 May. 2015. Web. 18 Apr. 2019. Ellis, Justin. "Knight Foundation invests $1 million in creator-driven podcast collective Radiotopia." Nieman Journalism Lab. Last modified May 12, 2015. Accessed April 18, 2019. https://www.niemanlab.org/2015/05/knight-foundation-invests-1-million-in-creator-driven-podcast-collective-radiotopia/.